As if Fortnite has not already reached its zenith, McFarlane Toys will further cement Epic’s shooter as a pop culture mainstay with a line of “premium collectible figures, related accessories, and resin statues.” Featured in the collection, which launches sometime in Fall 2018, are “high-end accessories” and “seven-inch premium, articulated figures.” Beyond this bit of information, the Fortnite collection from McFarlane lacks substantial details. The Fortnite brand has taken on global status and continues to grow each day. The game, with its sense of skill and irreverent fun, now has hundreds of character options to choose from, which is a tremendous blueprint for making any successful toy and action figure line. 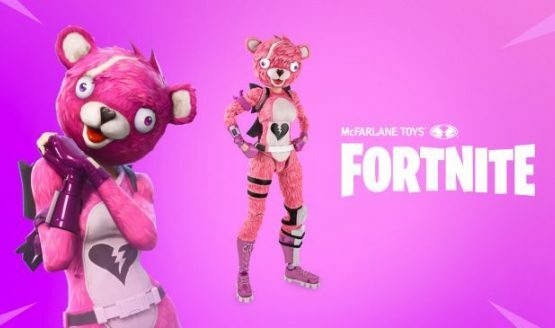 The developer’s art team at Epic Games wants to bring that same attitude into the creation of their toys, and everyone here at McFarlane Toys will be doing all we can to bring Fortnite fans the very best products. With such a deep and visually interesting library to choose from, I have no doubt that we will be able to showcase both current and ‘classic’ looks from the Fortnite franchise. Fortnite won’t only be immortalized with a McFarlane Toys collection. Funko plans on releasing its own figures related to the title that’s earning Epic billions of dollars. The Funko collection, set to arrive on an unspecified date this holiday season, features Pop! figures, 5 Star figures, key chains, Pint Size Heroes, and much more.